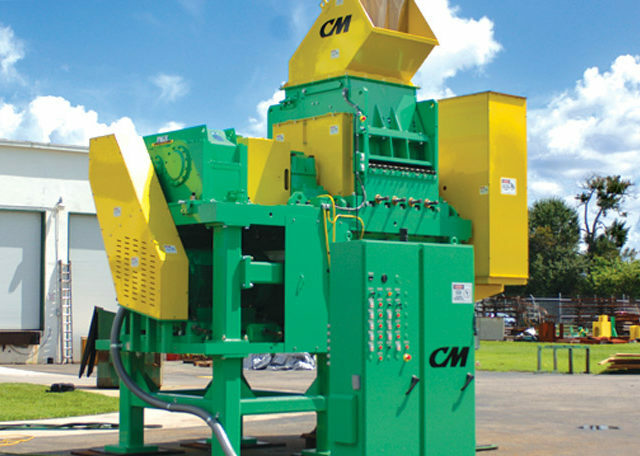 The Industry’s Most Productive Turn Key Line of Industrial Shredders & Heavy Duty Shredders. 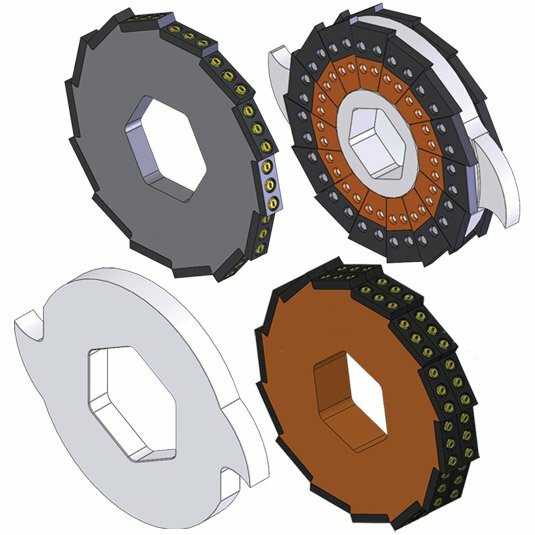 Our patented knife design operates at extremely close tolerances which produce the industrys cleanest cuts. The knives can be resharpened and reused which significantly increases lifespan and decreases costs. The Ultimate in Wire Separation Technology. 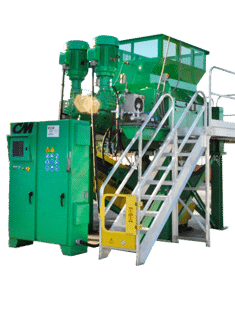 Allows separation of the wire from rubber tires in the purest, cleanest form possible, allowing processors to generate revenue streams from both rubber and wire. Patented “flow-through“ design reduces pinch points to produce the most profitable tire wire liberating systems in the industry. 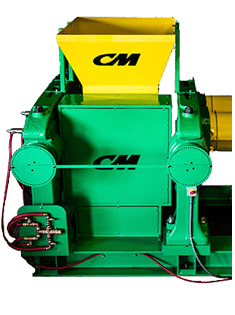 The CM Granulator & Fiber Removal System can accept 6-19 mm minus wire free crumb and process it down to 1-4 mm granulate rubber (10-20 mesh). Screens are used to size the material and the air system is used to extract the remaining nylon fiber. 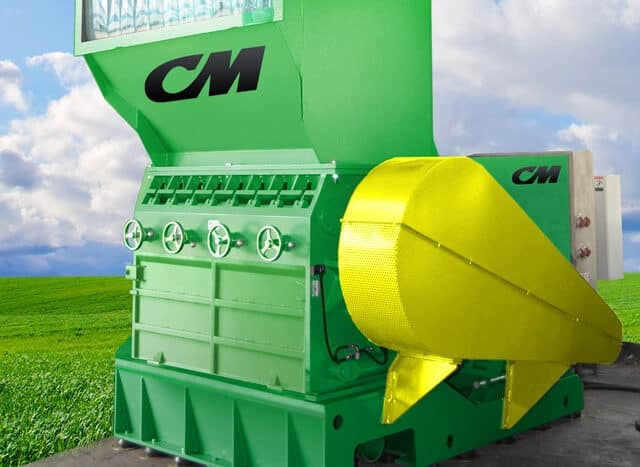 A Superior High Volume Fine Grind System. This new fine grind mill system is the recognized leader in technology advancements and production capacity. 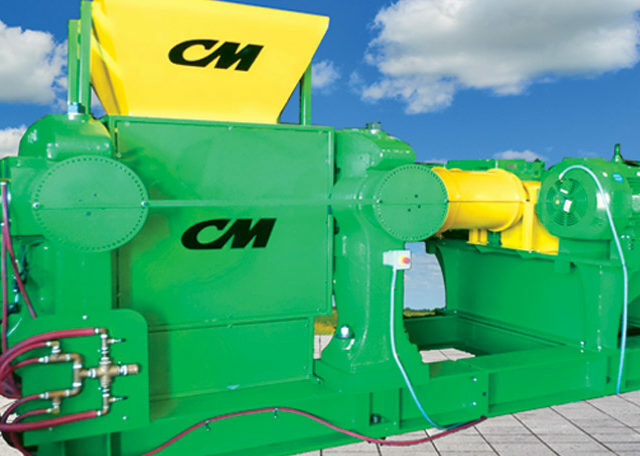 The mill is capable of processing rubber to fine grind powders ranging from 10- 80 mesh. 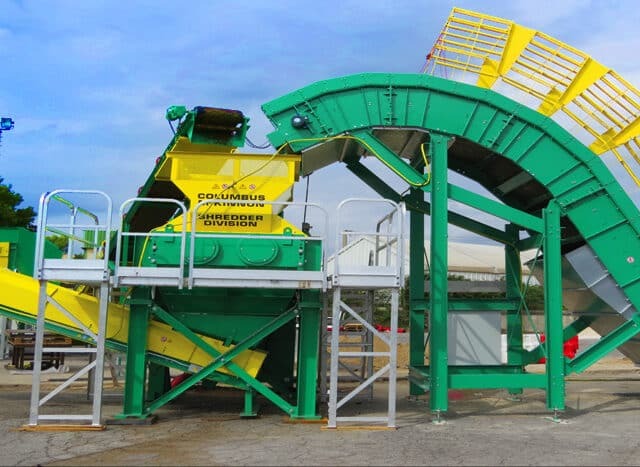 Looking for a Complete Tire Recycling System? 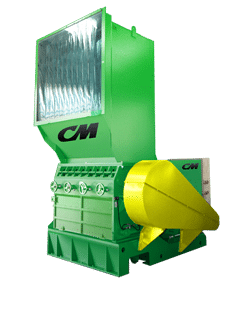 IS YOUR SHREDDER CUTTING IT? 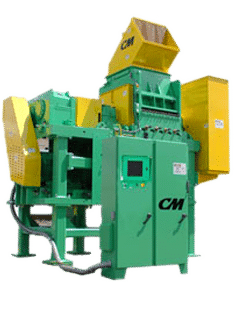 CM is proud to introduce a new line of general purpose industrial shredders & heavy duty shredders with an array of new knife systems to improve and expand dual shaft shredders capabilities.